A very warm welcome to the Lapp family: In December 2017, Lapp acquired SKS Automaatio and SKS Connecto in Finland and Poland. They are specialised in cable harnessing and automation. “Automation and cable harnessing are important parts of our Strategy 2020. 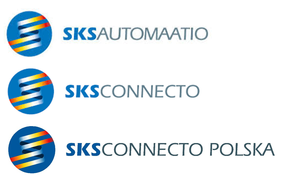 With SKS Automaatio und SKS Connecto as leading companies in those fields, we strengthen our position in automation and solutions for the benefit of Lapp and SKS customers”, said Matthias Lapp, CEO of the Lapp region of Europe, Africa, the Middle East and Latin America (LA EMEA). Lapp Group and SKS Group have been partners for over 50 years. “We share the same culture and management philosophy. I really would like to thank the owner families of SKS Group for our trustful cooperation and I am looking forward to our future”, said Andreas Lapp, Chairman of the Board of Lapp Holding.